Summer is here and Independence Day is right around the corner. Most people celebrate with fireworks, whether they watch professional public displays or they light their own. While the former is encouraged, those who choose the latter should be extra cautious. Fireworks can be very dangerous if not handled properly. Before you put on your own fireworks show, please review these fireworks safety tips. As mentioned, if at all possible, enjoy the view at a public fireworks display and leave the heavy-lifting to the professionals. If you prefer to light your own fireworks, be sure that they are legal in your area. 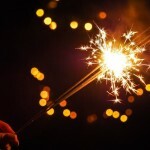 Because sparklers are fairly easy to use, people may think they are safe for kids, however, this is not the case. Sparklers can heat up to 1,200 degrees and are not meant for children’s short arms. Glow sticks can serve as a safer alternative. As a reminder, always closely supervise children in the presence of fireworks. Avoid wearing loose clothing while using fireworks. Point fireworks away from homes, and keep away from brush, leaves, and flammable substances. Stand several feet away from lit fireworks. If a device does not go off, do NOT stand over it to investigate. Instead, put it out with water and dispose of it. In addition, always have a bucket of water and/or a fire extinguisher nearby. Also, you should know how to operate the fire extinguisher properly. Should a child or adult become injured by fireworks, go to a doctor or the hospital immediately. If an eye injury occurs, don’t touch or rub it as this may cause further damage. Share your own fireworks safety tips with us on Facebook, Google+, Twitter, LinkedIn, and Pinterest! Visit SecurityCamExpert.com to browse our excellent inventory of security cameras, CCTV surveillance packages and more. Please remember, we will be closed on Tuesday July 4, 2017, for the holiday. Normal hours will resume on Wednesday July 5, 2017. We apologize for any inconvenience this may cause. From everyone at SecurityCamExpert.com, please enjoy a safe & happy 4th of July! From simple cameras that captured video of the area in front of them to advanced cameras that offer exceptional features, our security camera systems have come a long way. The security industry has embraced the high-tech boom, offering sophisticated solutions and attracting more interest from consumers, thus driving home security system sales up over the years. We can only expect this to continue thanks to these security camera innovations, as well as those yet to come. Video quality was once the defining factor of how advanced your camera was. Since high-definition and improved resolutions have taken care of that aspect, focus has now turned to the range and extent of camera views. Currently, most cameras can offer about 130-degree views, but 360-degree views are already being offered by newer security cameras. This type of biometric technology enables your security cameras to distinguish strangers from members of the household. By doing so, home owners can be alerted to when members arrive home, as well as when unwelcome guests try to enter. What was once a special feature has now become a standard function for security cameras. Night vision cameras can see almost as well as they can during the day and are often built to withstand extreme weather conditions, making them ideal for both indoor and outdoor use. The security room, dedicated to numerous monitors and feeds, is becoming obsolete. Modern technology is now allowing security cameras to be integrated with smart phones, sending the live feed directly to these devices. Users are even able to change the angle of the camera from their device to investigate the area in question further. Solar-powered camera systems are much more energy efficient and can cut out the complications and vulnerabilities of hard-wired camera systems. A broader range of businesses are able to access security solutions thanks to solar-powered security cameras paired with wireless systems. This feature is especially convenient for parents and pet owners to check in on their loved ones. Users are able to communicate through the camera to check in with kids or scold unruly pets. This feature can also be used to scare off intruders remotely, avoiding any immediate danger. Voice commands and voice control has become a staple in our everyday lives, so bringing it into the security realm only makes sense. With voice control technology, you are able to manage your security systems completely hands-free. For example, you can turn on a camera, lock the house, or close the garage by simply activating voice command. Which of these features do you find is the most effective and convenient? Share with us on Facebook, Google+, Twitter, LinkedIn, and Pinterest. 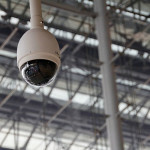 For a great selection of security cameras and CCTV surveillance systems, visit SecurityCamExpert.com. For more information about free CCTV quotes, site surveys, and installation services, please call 888-203-6294. For businesses, it is important to keep your data secure and protect your customers. Recent hacks and data breaches have proven that one small misstep can cost you a fortune. Don’t become the next example – heed these helpful business security tips to ensure that your business remains safe and secure. Employees should only have access to the systems they need to do their job, no more. Opening access to sensitive systems for all employees is unnecessary and increases the security risk. Limit the use of external devices (ex. USB memory sticks) especially those brought in from home by employees. These external devices are a main route for malware to disrupt systems. Old systems, network devices and sites should always be removed and decommissioned. Forgetting about these may allow hackers to access your network. Devise a plan that encompasses the following: network privileges and devices for new employees, what happens when employee roles are changed, and the protocol for when employees leave. In the event an employee is leaving, be sure to revoke access and collect company devices upon departure. Please note that this process can become quite complex if workers used personal devices in the workplace. We all take risks every day, varying from minuscule to major. It is important to understand how much of a risk your business is willing to take to get the job done. For example, are you willing to allow staffers to use their own devices or take data files home? While this may help with productivity, you also run the risk of devices being lost, stolen, hacked, or contaminated with malware. You MUST properly train your staff in understanding the risks and legal requirements around data security. Explain the different issues and best practices. Without proper training, you leave your organization vulnerable. Ensure that your staff knows to be vigilant and report suspicious activity (ex. suspicious emails, attachments) or any unexpected changes to the company system. 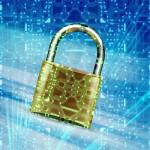 As you may have concluded, much of the data security risks start within the business rather than on the outside. Most of these mistakes result from accidental or ill-considered actions by employees, thus, proper education and training is pertinent. In addition, data loss prevention (DLP) technology can prevent unauthorized saving, copying, printing, or emailing of sensitive files. This will prevent insiders from compromising data, whether accidental or criminal. Do you have any other security tips to share? Connect with us on Facebook, Google+, Twitter, LinkedIn, and Pinterest. Shop our CCTV surveillance packages, security cameras, DVRs, NVRs, and more at SecurityCamExpert.com. Call 888-203-6294 to learn more about our products and installation services. Unfortunately, home burglaries happen more often than we would like to believe. While the thought of someone breaking into your home, violating your privacy, and stealing your valuables is disheartening, encountering an intruder while you are home can be far more frightening. Panic and fear may set in, but here are some helpful tips if you ever find yourself in this situation. This may be easier said than done, but remaining calm rather than panicking can keep you safe. First, listen very closely to the sounds which lead you to believe that someone else is in your home, whether it is the sound of breaking glass, footsteps, or shuffling around. Try to make sure that it is not another family member or a pet without charging toward them or making your presence known. If it is, in fact, an intruder, you don’t know if they are armed or how aggressive they will be so it is best to avoid engaging and remain undetected. Dial 911 immediately if you sense an intruder in your home – the emergency operator will be able to contact and dispatch police to your location. Remember to stay calm and whisper slowly and clearly so that the dispatcher can understand you and the intruder does not hear you. If you feel that you cannot talk without being heard, you can try using the Text-To-911 help function, implemented to assist the deaf and hearing impaired persons. This is a perfect example of why you should always have a charged cell phone nearby and accessible. While burglars may be able to cut a telephone line, cell phones are wireless and cannot be compromised by the intruder. Also, resist the urge to call a friend or family member before dialing 911, and try to stay on the line until the police arrive as the dispatcher can help guide you through this emergency while you wait. As mentioned, staying quiet is key. For the most part, burglars don’t want to linger, they want to get in and out as quickly as possible. Any sudden movements or noises can alert the intruder that someone is home. These noises may scare them away, however, a brazen burglar may take forceful action, putting you and anyone else in your home in danger. No material possession is ever worth risking your life, so try your best to stay quiet and hidden until the burglar leaves or the police arrive. Always call for help first before alerting others in your home. The emergency dispatcher can guide you about informing other family members or housemates. The average police response time is 10 minutes nationwide. If you can, wait for help to arrive, but if you must, alert others carefully and quietly. If children are home, lock their doors if possible to prevent the burglar from entering their rooms. Screaming or crying children can make a burglar aware of your presence so remaining calm can help you keep the kids quiet. Creep slowly, whisper and use hand signals to communicate. You may immediately think that escaping is your only option, but it might not be the best solution. If you can, alert authorities while remaining undetected. But if you fear that this encounter may turn violent, you should seek the nearest escape route. You know your house best so think of a window or door you can use for a quick getaway. If no escape routes are easily accessible or available, try to find a safe place to hide until help arrives or the intruder leaves. 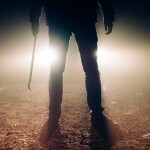 You must do what you need to do to protect yourself and your family during a home invasion. Material possessions are not worth risking harm or fatality, so, if forced to do so, surrender your things and use any means you can to defend yourself against the attacker. Feel free to share any experiences or advice with your peers and us on Facebook, Google+, Twitter, LinkedIn, and Pinterest. Protect your home and loved ones with a CCTV surveillance system. Browse our selection of security cameras and more online at SecurityCamExpert.com, or call 888-203-6294 to discuss your options.